In February 2003, the KIZOMBA A living quarter and drilling modules were transported from the US Gulf to Rotterdam, the Netherlands, onboard the Dockwise heavy-lift vessel SWIFT. 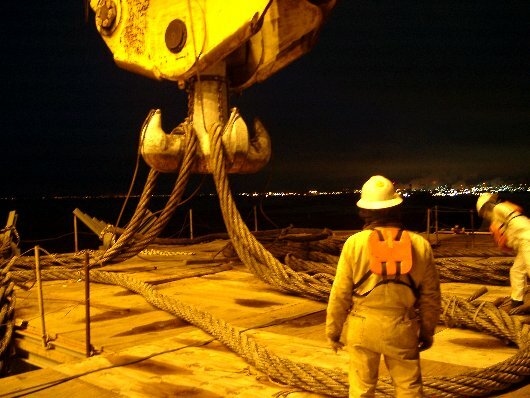 The module weights ranged from 1,200 to 2,200 t. The top of the derrick needed to be removed from the drilling module to allow for the Corpus Christi bridge passage. 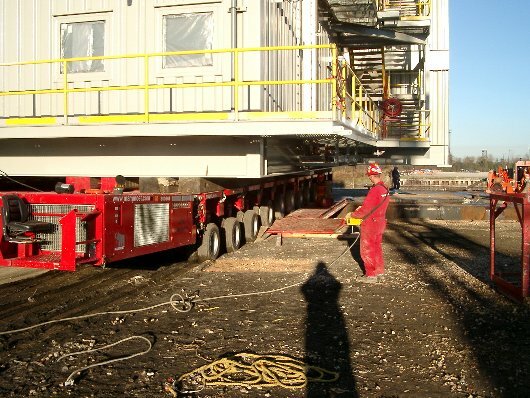 The living quarter module was first rolled onto a barge and towed from Houston to Corpus Christi. 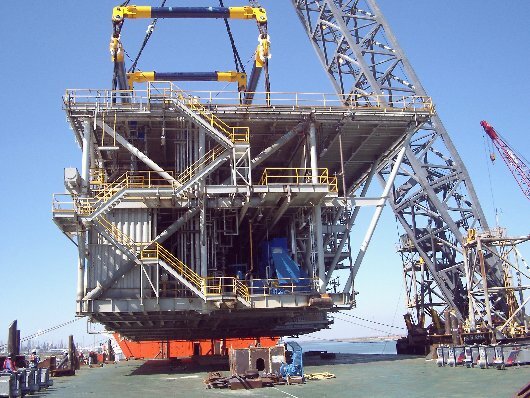 There, all modules were lifted onto the SWIFT, using the J Ray McDermott floating crane barge SLC 5000. 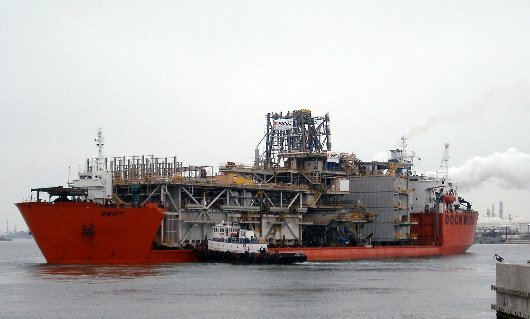 The limited channel width at the loading location, the size and weight of the modules, the limited deck space of the transport vessel, and the local winter weather conditions offered a number of challenges for the load-out, which were all successfully overcome. Upon safe arrival in Rotterdam, the modules were successfully lifted off the transport vessel and installed onto the KIZOMBA A TLP hull. 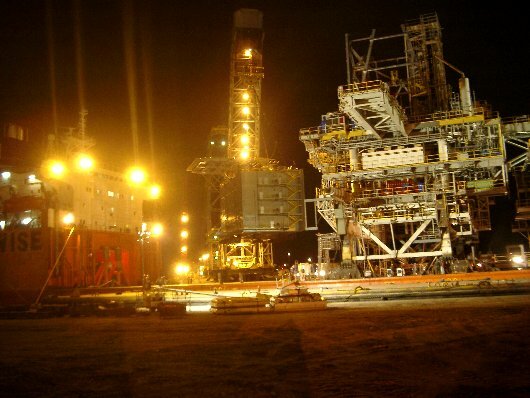 Assisting on-site during the lift-on and seafastening of the modules in Corpus Christi.